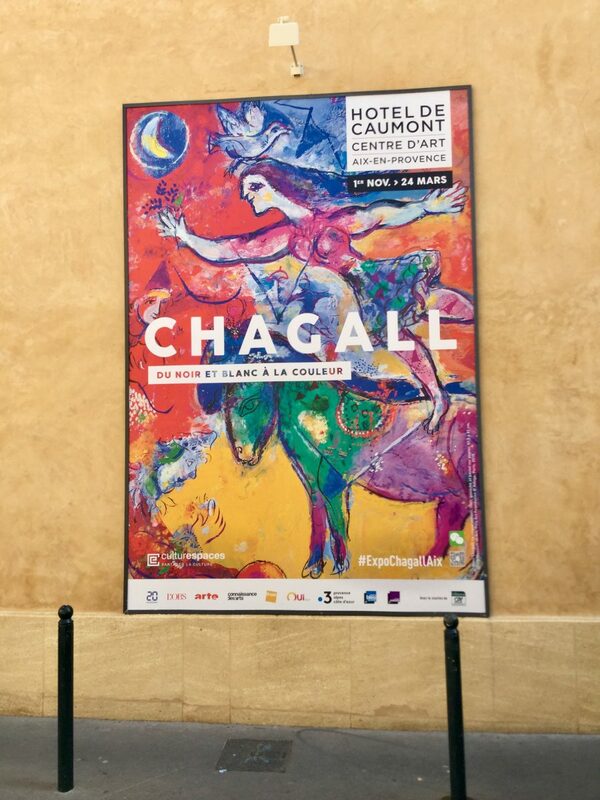 We were recently able to combine a trip to one of our favourite towns, Aix-en-Provence, with a visit to a Chagall exhibition at the Hôtel de Caumont (pictured above), lunch at a nearby hotel (Hotel Le Pigonnet) with a gorgeous garden and watching our first live cycle race of the season (stage 4 of the Tour de la Provence) in which a number of our friends were riding. I call that a definite result! It was a pleasant 90 minute drive in glorious sunshine from home to Aix. 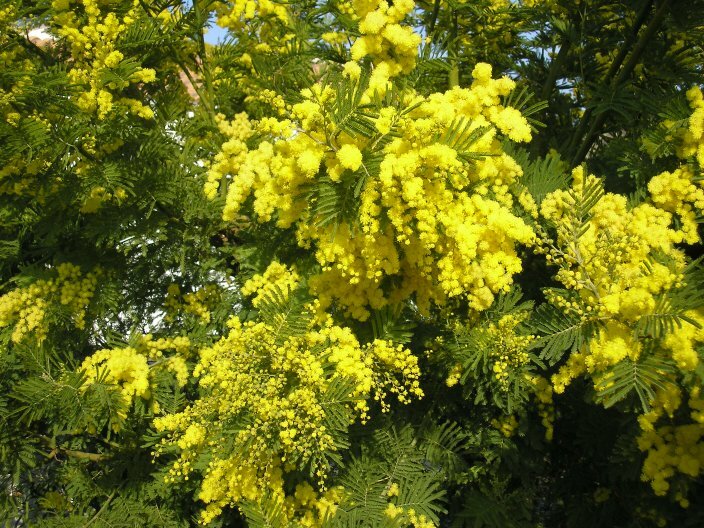 The scenery was magnificent: from the rusty-red rocks of Roquebrune to the stern grey of the Sainte Victoire, the mimosa provided flashes of gold among the dark evergreens while the vines were just starting to emerge from their winter pruning. 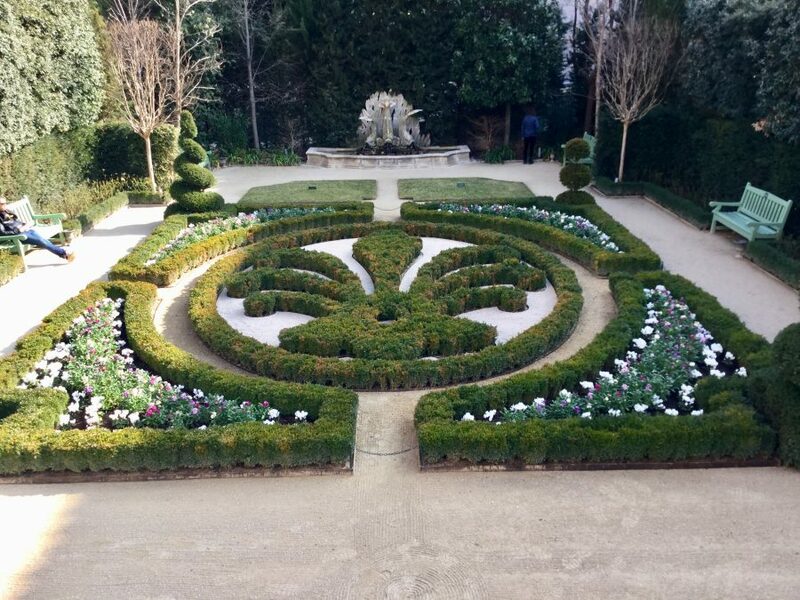 We left the car in the hotel car park after availing ourselves of the hotel’s facilities and enjoying a coffee ourdoors in its garden. 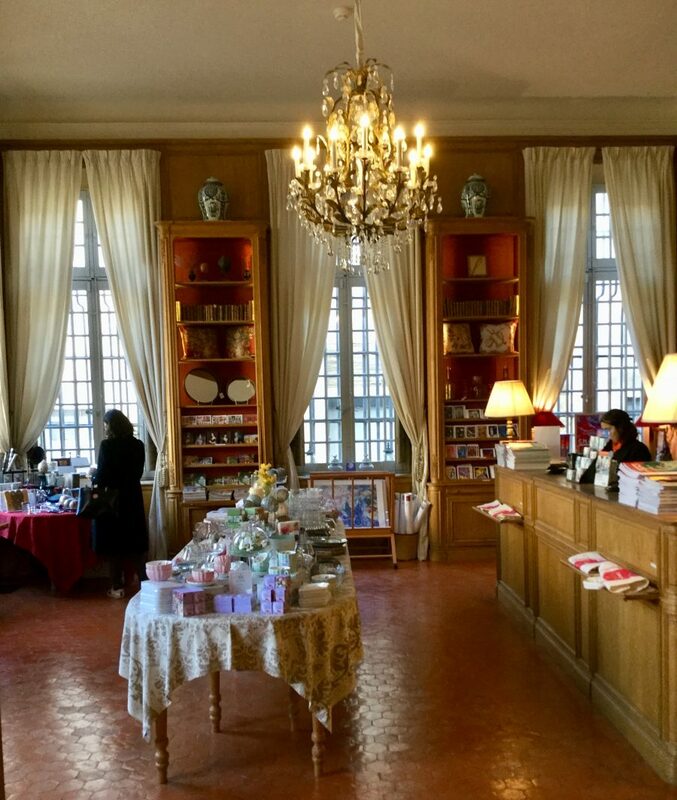 We wandered into town and purchased some goodies from its Sunday market before returning to the hotel for a leisurely and delicious lunch, after which we visited the Hotel du Caumont to see its Chagall exhibition. 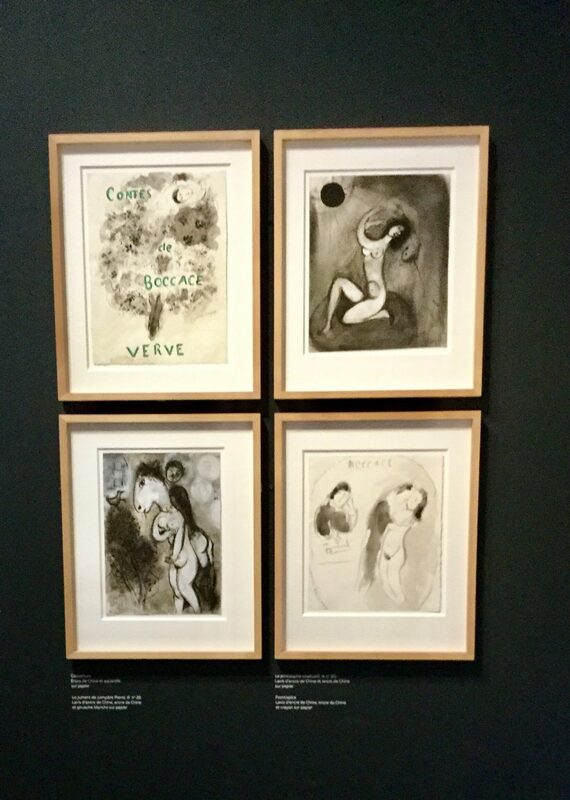 I’ve visited the museum in nearby [to Nice] Cimiez devoted to his works several times but am always keen to learn more about someone whom I consider a local artist. 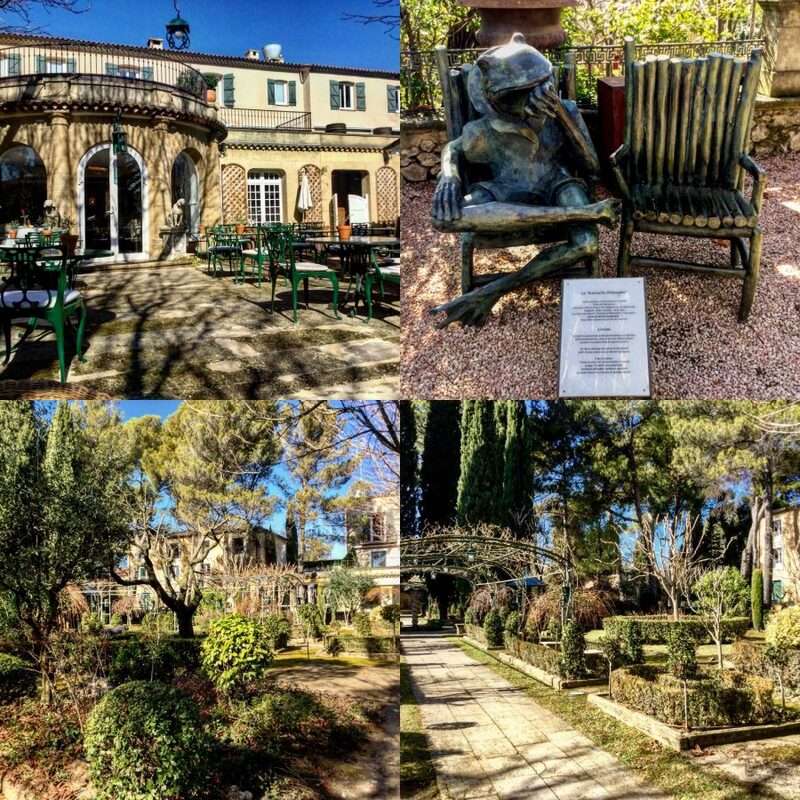 A Franco-Russian by birth, he moved to Vence in 1949 and then, like many of his contemporories, settled in Saint Paul de Vence until his death aged 98 in 1985 – a good innings! 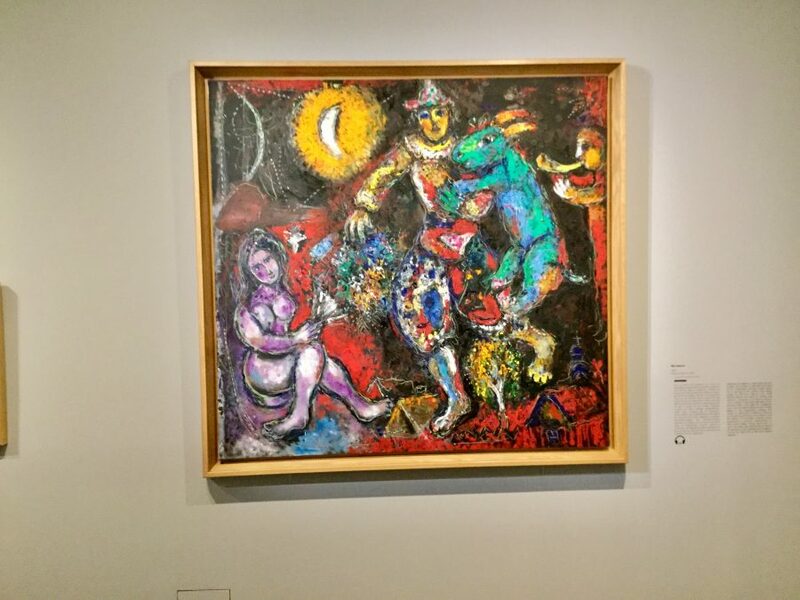 This is an interesting exhibition that sheds light on an unexplored dimension of Marc Chagall’s work. 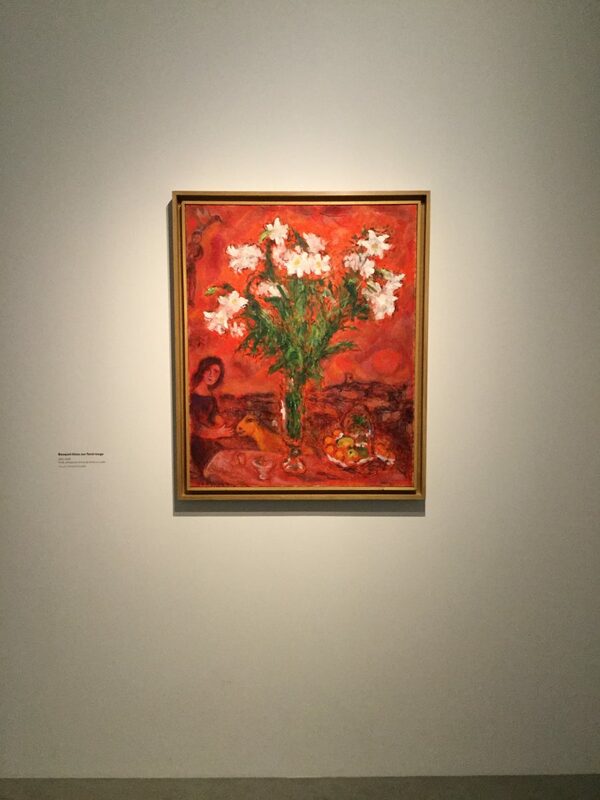 He was celebrated as a master of colour by the artists and critics of his day but this exhibition, which is devoted to the latter part of his career, highlights his change of style in the period from 1948 until his death. 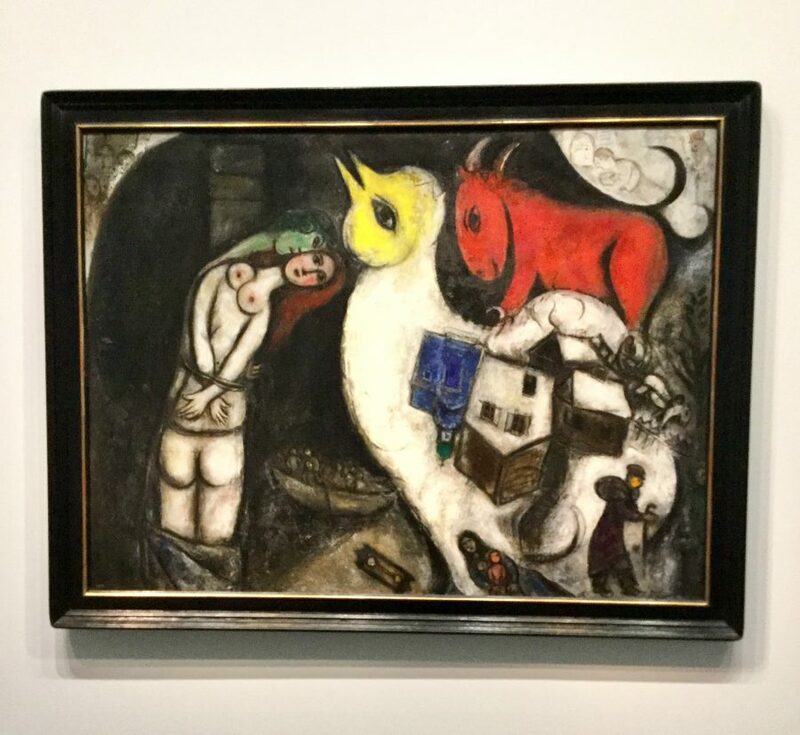 Over 100 works (paintings, sculptures, ceramics, drawings, engravings, washes, gouaches, and collages) reflect Chagall’s artistic exploration of monochrome (black and white) and his mastery of particularly luminous, intense, and profound tints. 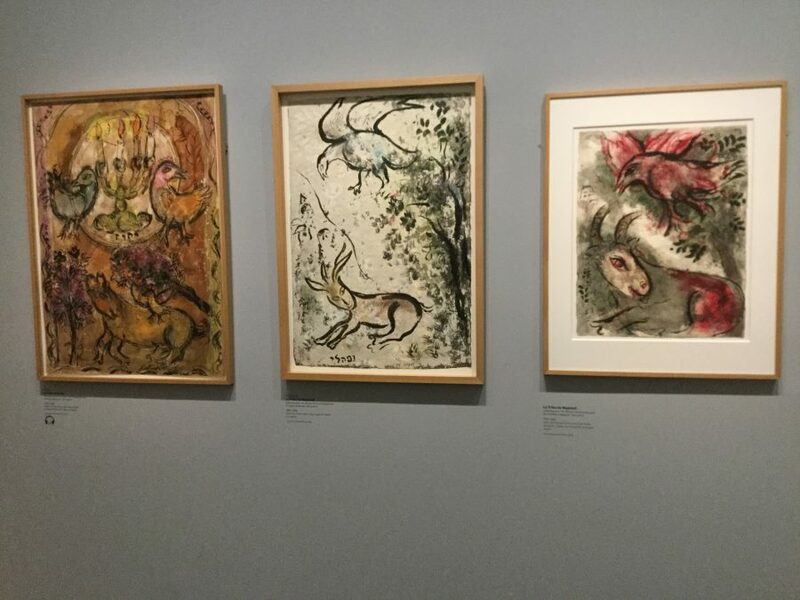 After spending the WWII years in exile in USA, he adopted a bolder artistic approach, in which the study of volume led him to explore the world of light, shade, materials, and the transparency of black and white. 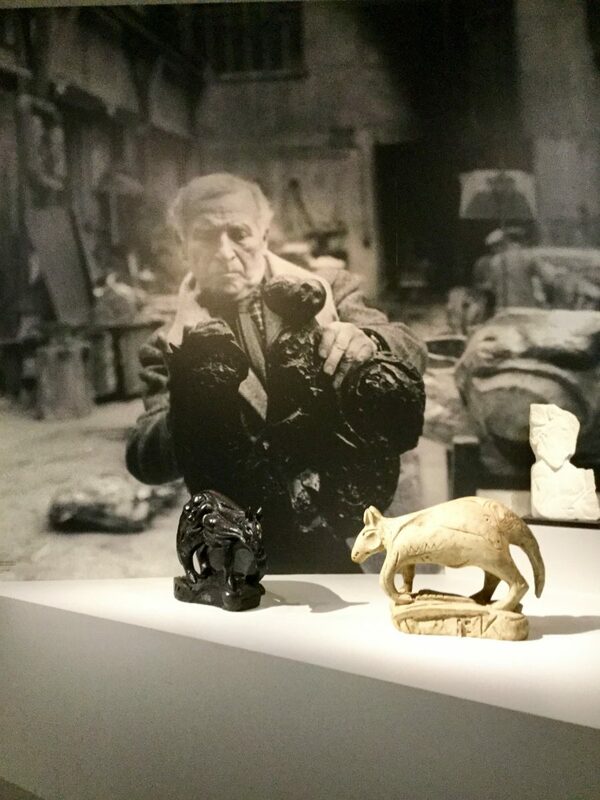 The study of the chromatic and luminous subtleties of black and white resulted in the use of intense and bright colours that gave his pictorial oeuvre a completely new dimension. 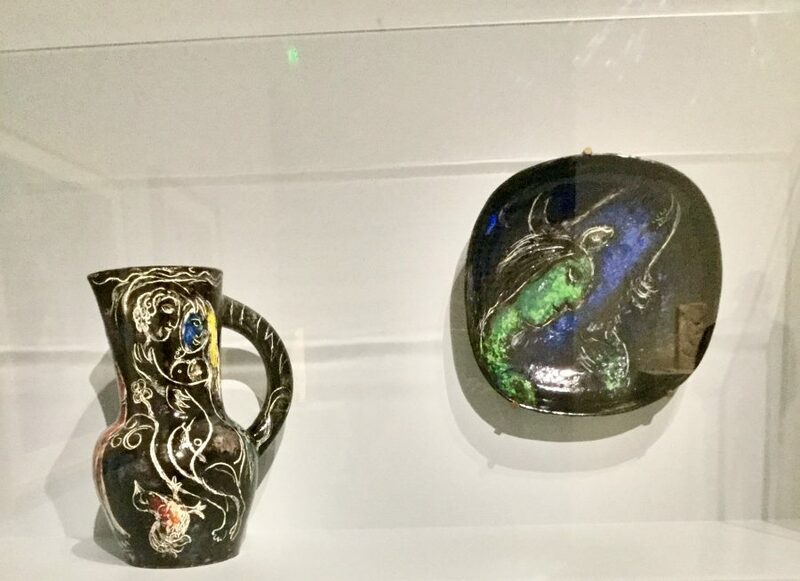 It was an illuminating exhibition in a gorgeous location.